CONTACTER LE PROPRIETAIRE - FAIRE ENQUETE SUR MAINTENANT ID: 28782 - CLIQUEZ ICI ! Description : 15 minutes from the Airport these spacious Studio Apartments with patios, come fully furnished with 24 hour security, telephone, cable TV, Air-conditioning and front desk service. Telephone, internet and laundry services are available. 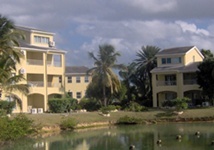 Located in the Dickenson Bay area, within walking distance of a variety of restaurants, beaches and clubs, and minutes from the capital St. Johns, golf courses, carnival and cricket venues.